My name is Michelle Dennis. I have a background in Physical Education/Outdoor Education teaching. Owned and operated my own health and fitness business for 13 years. pony club, jillaroo, western, trail riding and camping, trackwork, lighthorse, eventing, starting young horses under saddle, natural horsemanship, natural horsecare and rehabilitation, intuitive communication, innate healing, mediator/interpreter between horses/donkeys and humans having trouble getting along, tricks and liberty entertainment and education. 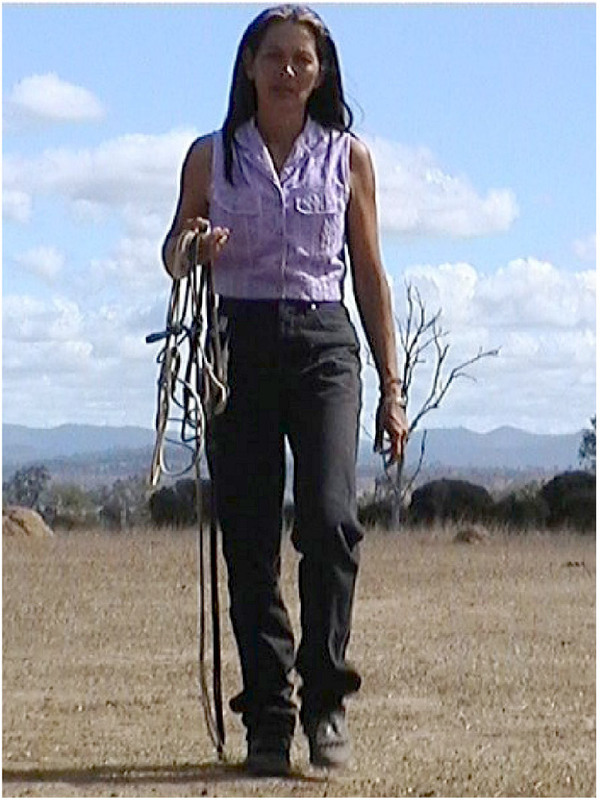 Since purchasing my 40 acre property near Harrisville Queensland Australia in April 2002, I have endeavoured to live amongst my horses and see what they can teach me. It has been an amazing journey into their world and they are actually very similar to us if you ignore the obvious physical differences. We have a few simple rules we live by, such as, you do something I want and I will do something you want, ignore me I ignore you, make me wait I make you wait, pecking order does not apply when we are eating, working or playing together, attitude is more important than ability and voluntary participation is richly rewarded. Long-lasting health and magical performances are the result of looking after each horse’s body, mind and spirit in a way that is acceptable and naturally appropriate to that horse. This is achieved by putting your ego in the cupboard and allowing the horse as much freedom as possible to be fully self-determined and self-expressed while at the same time showing him/her what it takes to get along with and impress humans. Like humans, horses don’t know what they don’t know until they are shown. The horse must also perceive, and value, what is in it for him if he does what you want. 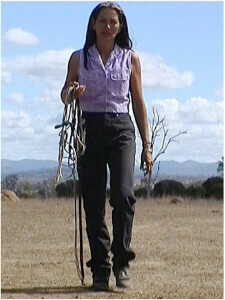 My horses will follow me, on foot or horseback, and participate in whatever task I set, for up to an hour or more, because they know they will get all sorts of privileges and extra good things when we return home if they do. Some choose not to participate in certain activities, some will do whatever is going. They are not my slaves but just as importantly I am not their slave. Ultimately, I am looking for horses that will assist me to assist them to be, do or have whatever they need or want and also assist me in making a difference for other people and horses. I keep a tally board of voluntary participation in different activities so it is quite obvious who likes what. Most thrive, excel and achieve their needs and wants. If a horse doesn’t like or function in this arrangement I find them a home more suited to what they like. Always remember ….. when you turn a horse loose you see where his mind is, and when it is with you, that is when the magic starts to happen …..